This week I’ve got 2 half up styles to show you. 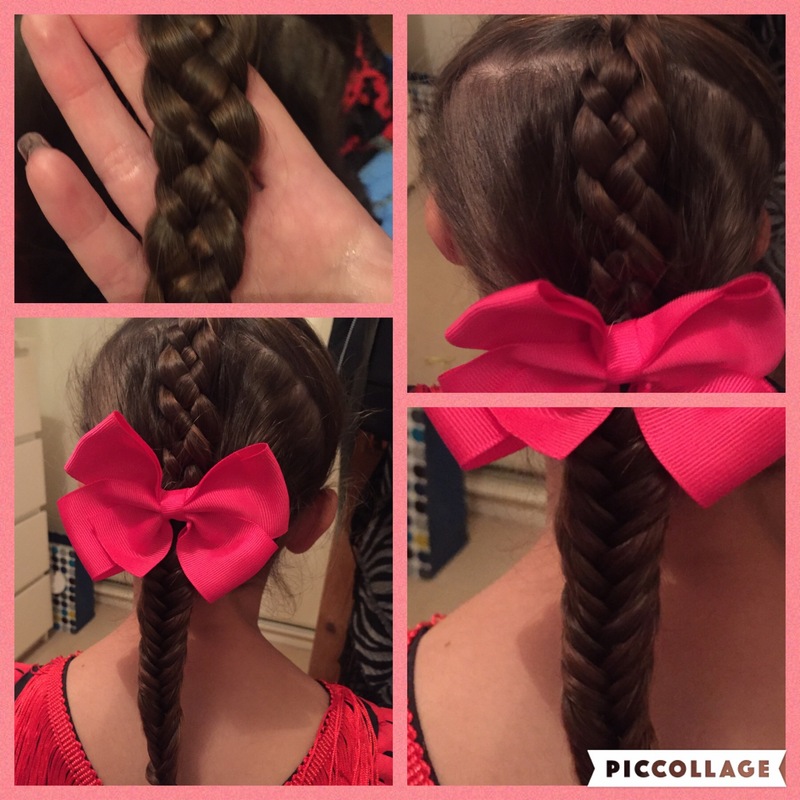 I love the 4 strand braid it looks really clever but is not hard at all once you know how. Section the hair into 2 halves and tie the top half up into a ponytail. With the ponytail seperate into 4 strands and with strand 1 cross over 2 under 3 and over 4. Repeat all the way down and then tie into another lower ponytail with the second section. With that ponytail I did a fishtail plait, sectioning into 2 and adding from each 1 + 2 section across to the opposite section. 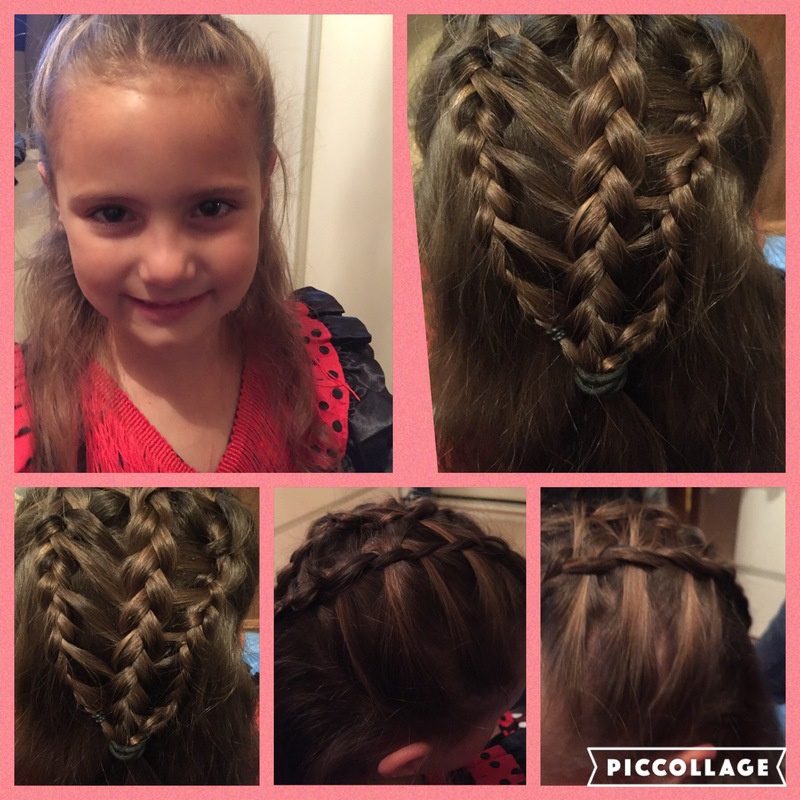 The second hair style is 2 feather Dutch braids with a middle braid. Easily done if you can Dutch or French braid. Again section hair in half tying the bottom half of hair that will be left down out the way. Split the top half into 2 and tie one side out the way, with your free section start to Dutch braid leaving half of your strand facing in, out. Continue this down untill you run out of hair to add and then just free braid it down remembering to leave the strands facing in out still. You should be left with a feathered Dutch braid. Then with the free feathered strands pick them up at the top and braid down including them all. Tie at the end and add a bow for decoration and you should have something like my picture! It takes a bit of practising and this one was my first attempt so I’m not 100% happy with it but practise makes perfect! Previous Mallorca, it’s been lovely…. Wow you are so clever Keliegh! Millies hair always looks beautiful.